The Gomers’ Sub-Five Strive at the Minneapolis Marathon has come and gone, and well…they strived! Join the guys as they begin to process the day of the race, what happened when, why and with whom. It was a roller coaster of a day, and the Gomers attempt to recreate it in a way that’s honest yet hopeful – a week out, that almost seems possible! Listen also as they remember their meetings with the Gomernation fondly, and sheepishly try to recall the name of the Gomer Flight Attendant, with no success. Help! We forgot your name! Can anyone help us out?! This Episode is fully devoted to the Race in Review, and coming next week is the Runner’s Corner with thoughts concerning how they feel after the fact, then SWR2 (Songs We Ran To), and Gomers in Preview…where they begin to attack the “What’s Next” question. Hope you enjoy, and Happy Running! 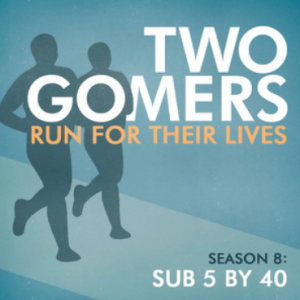 Previous PostSeason 3 : Minisode 12 – 20 Hours to the RaceNext PostSeason 3 : A Special Gomernouncement: The 2nd Annual Gomer Group Run! Listening to the podcast now – you guys just got hit by some bad weather. On a cooler day you SO would have broken five hours! STACY! STACY! STACY! STACY! STACY! STACY! cool! i am famous….kinda. will this be the pic on the itunes page for your next season? lol. 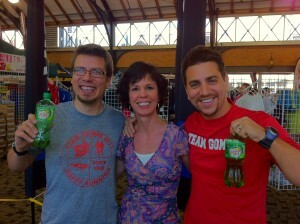 nice meeting u guys! love your podcast!!! Did the 5 hour pace guy also walk up the hill? Hey guys! Have downloaded this several times and it always stops at 17 minutes (it’s not a special, is it?) What am I doing wrong? !